Kasaragod is a Lok Sabha constituency out of the 20 constituencies in the Indian state of Kerala. The town of Kasaragod which lies in the northern tip of the state is the municipality and the administrative seat of the Kasaragod district. Kasaragod's constituency number is 1. 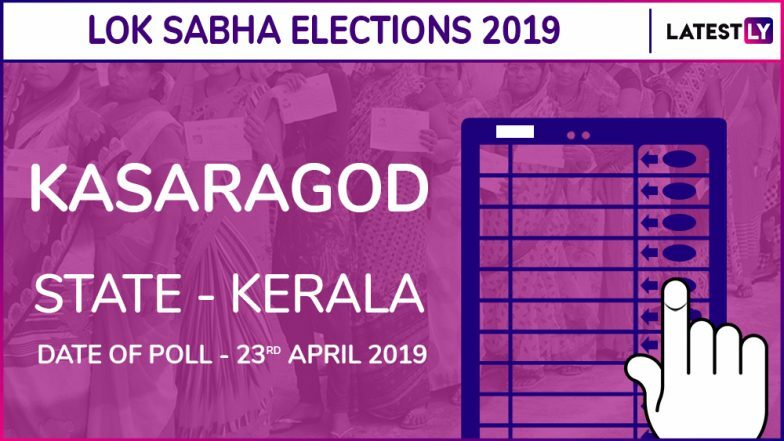 For Lok Sabha Elections 2019, Kasaragod Lok Sabha constituency comprises of seven assembly segments including Manjeshwar, Kasaragod, Udma, Kanhangad, Trikaripur, Alathur and Kalliasseri. Kerala will go to vote during the third phase of polling on April 23. Kasaragod is a CPI (M) stronghold since the 1999 Lok Sabha elections. P Karunakaran has been a three-time sitting MP since 2004. This time, CP(M) has fielded KP Satheesh Chandran here. Former spokesman of the Congress party in Kerala, Rajmohan Unnithan is the party's face in Kasaragod. He has previously contested the Assembly elections from Kundara and Thalassery constituencies, but lost. Check Full Schedule of Lok Sabha Elections 2019. BJP has fielded Raveesh Thantri Kuntar who lost 2016 Assembly Elections. He had lost to UDF's A Nellikkunnu by a margin of 8,607 votes and secured 56,120 votes. Kasaragod comprises of 37.24 percent of Muslims and 55.84 percent of Hindus. In 2014 Lok Sabha elections, P Karunakaran defeated his closest opponent, T Siddique, a Congress candidate by a tight margin of fewer than 7,000 votes. BJP candidate, K Surendra came in the third place. The Lok Sabha Assembly elections 2019 will be held across India in seven phases between April 11 and May 19. The polling is scheduled to happen in seven phases across India and in Kerala voting will be held in a single phase on April 23. In phase three, voting will be held for 115 Lok Sabha constituencies in 14 states. Thereafter, the counting of votes will be held and results will be declared on May 23.